Indonesia has the world's largest Muslim population, and Southeast Asia's biggest economy. It is an ethnically diverse nation, with over 300 local languages. Médecins Sans Frontières work from a base in the capital, Jakarta, and a mobile unit provides counselling in the areas needed. Our teams also carry out emergency interventions, such as donating hygiene kits and providing psychological support, in the wake of disasters including flash floods and earthquakes. Earthquakes and tsunamis are endemic to Indonesia: liquefaction, a phenomenon where soil loses strength or density and turns to mud, and landslides cause significant damage and loss of life in affected areas. MSF provides medical support and mental healthcare to disaster affected communities. Teams are equipped with medical, water and sanitation, and logistics specialists and engage with affected areas to assess the situation, and to provide all forms of assistance. The priority for teams is to provide support to health centres in remote areas to restart their primary healthcare activities and ensure the prevention of epidemics such as diarrhoea, skin diseases and measles. Restarting routine vaccination, data collection, and epidemiological surveillance for different diseases are also performed by MSF teams. MSF runs an ongoing program with a focus on sexual and reproductive health education for school children and teachers, and in conjunction with the Ministry of Health, has been involved in coordinating strategies to increase access to confidential reproductive healthcare services tailored to the specific needs of young people and adolescents. The project is aimed at raising awareness of healthcare options among youth, as well as improving the quality of services available. 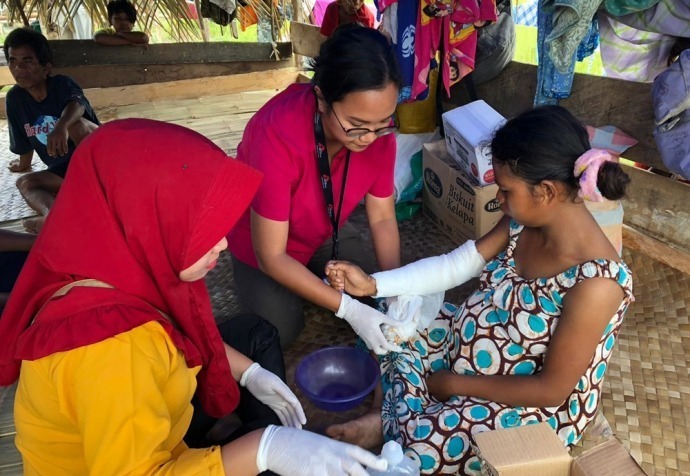 MSF is working with the local health authorities to encourage health-seeking behaviour, particularly among young people in the fishing villages and towns on the Thousand Islands, an archipelago north of Jakarta.